What Is a Biometric Health Screening? 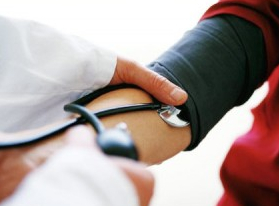 Biometric health screenings are a great way to get a corporate wellness program jump started. Or, if you already have your program up and running, screenings can be one more added component to add value for your employees. Holding a health screening day at your workplace is easy to do, communicates to your employees that you care about them and encourages employees to take steps towards better overall health. This kind of event can be set up by Wellworks For You quickly and seamlessly. We can handle all of the logistics so you don’t have to. A team of trained professionals will be sent directly to your offices and can do a biometric health screening for each employee in about fifteen minutes. Each test consists of determining several simple factors for each individual by taking some general measurements and a small blood sample using a finger prick. All results are completely confidential and for the use and benefit of each individual alone. Some of the typical information received includes: body mass index, total cholesterol and glucose levels. How Do Biometric Health Screenings Work? Once the employees have their results they will be able to fill out additional questionnaires and receive assessments which will tell them about their risk levels for certain conditions and diseases. Because such a short procedure can provide so much useful information, employees are usually excited for the opportunity to have something like this done during the work day. It is a convenient way to focus on their health and it is practical. As each employee’s results is considered by him/her alone, or possibly alongside a health coach, they can help determine what steps (if any) should be taken to lower the risk of potentially dangerous health conditions. Employees will not only be encouraged to take action regarding their overall wellness, but will be advised concerning which particular areas to focus on and how to specifically go about addressing the potential problem areas. Employees will feel valued, cared for and grateful to your company for providing activities such as biometric health screening days and health risk assessments for their benefit. When employees feel valued by their employer and grateful to them, they tend to want to work harder for the company. And when they are aware of their potential health challenges, they are able to take steps to correct lifestyle issues so that those challenges do not become major problems in the future. This keeps employees happy, healthy and focused on the tasks at hand (rather than distracted by their health issues). Healthier employees means more productive employees. It also saves your corporation money on healthcare costs. As with any piece of a corporate wellness program, activities like health screening days have proven to have fantastic ROI.